Let’s set the scene: You’ve just had your car detailed by one of our skilled and wonderful Mobile Wash washers and you are ready to hit the town and find something to eat. If you’re in the San Diego area we have a few suggestions in mind where you can take a fun clean ride and get a delicious bite to eat. If you’ve spent your morning at a fun attraction or museum and you’re looking to avoid those super taxed cafeteria prices then venture out to grab a mouthwatering bite of pizza or some authentic Italian pasta. If you are looking for a hot cheesy slice you can stop by Napizza at 1702 India St for “cheap but good” pizza. Napizza is a great option if you want a clean spot with a friendly atmosphere and great food. However, if you are in the mood for really great pasta swing over to Solunto Ristorante & Bakery at 1643 India St. You’ll find a menu filled with “the best Italian food I’ve ever eaten” according to one reviewer. Solunto is headed by Italians who are from Naples. So, the food is sure to be some of the most authentic you’ll come across without traveling to Italy yourself. With your squeaky clean car thanks to Mobile Wash Mobile Auto Detailing San Diego, you might be looking for a night out on the town. If dinner is on your agenda you can try Nobu for a fine dining Asian cuisine experience. Located at 207 5th Avenue, their reviews talk about outstanding and amazing sushi. They also have friendly and great service. The experience of Nobu is worth the expense and includes amazing drinks! Speaking of drinks if you are in the mood for a post-dinner nightcap in the form of a delicious dessert try Extraordinary Dessert at 2929 5th avenue. Their review quality is in their name. They offer ‘extraordinary’ desserts and customers love them! They have two massive display cases filled with “the most beautiful desserts you’ve ever seen.” The beauty extends to the taste as well. 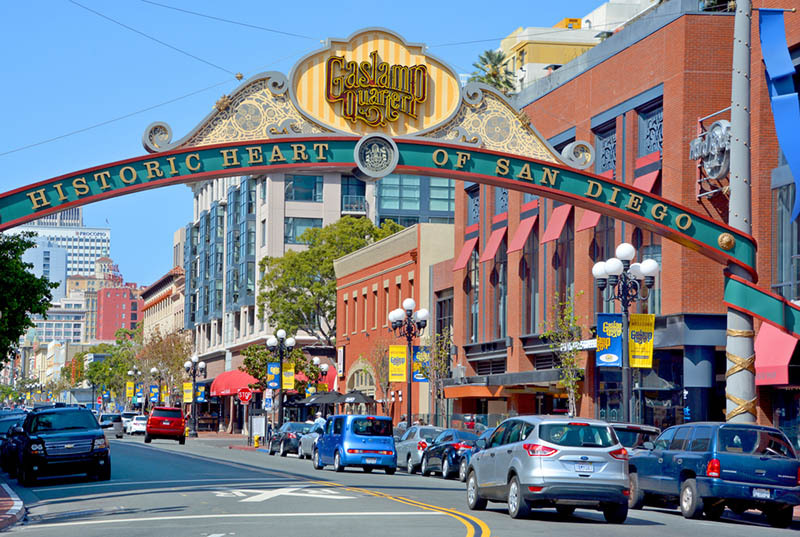 With a few options in mind for breakfast, lunch, dinner and delicious desserts you can schedule your car for a wash and then spend your time exploring all the varied and very delicious cuisines San Diego has to offer.